Phillip’s Cabinet Shop Specializing in Bathroom Vanities, Mirrors, Shower Enclosures and More. 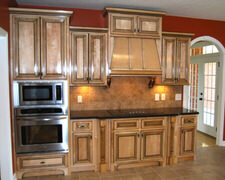 Affordable Custom Cabinet is a custom cabinetry maker which offers finest cabinetry with affordable prices. Affordable Custom Cabinet serves Andalusia, Alabama and surrounding areas.